If the old saying “practice makes perfect” is true, then Panama City Beach, Florida must be close to throwing the perfect Spring Break by now! Year after year, people seeking out an authentic and fun Spring Break experience flock to the home of the “World’s most beautiful beaches”. Any serious ‘Where should we go for Spring Break” conversation includes PCB. Lists that try to figure out the ‘Top Spring Break Destination‘, or the ‘Ultimate Spring Break Experience‘ all contain the same three words: Panama. City. Beach. But it’s much more than the 27-mile stretch of sugar-white sandy beaches that keep people coming back year after year. There’s no shortage of ways to spend a fun day. Whether you just want to pool-hop and visit friends staying at other hotels / condos or lay out on the beach playing games and hanging out. Or you might have a bigger budget to play with, and feel like checking out some of the fun attractions and things to do on the strip. Mini Golf is a Panama City Beach classic. There’s a solid few places to chose from. Racing go karts and playing arcade games to win silly prizes is also way more fun than we probably make it sound. Plus there’s a bunch of ways to have fun getting wet, from jet ski tours and pontoon boat rentals to stand up paddle boarding and parasailing. Some Resorts have lots of fun things to do built right into the place you’re staying. One, for example is the Sandpiper Beacon. Tiki Bar right on the beach, games & contest with prizes, DJs, multiple swimming pools (indoor and outdoor), pool tables, table tennis, hot tub, lazy river. 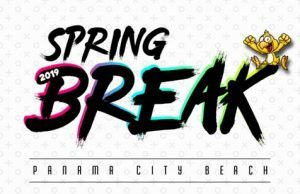 The night life in Panama City Beach has always been something competing Spring Break destinations have looked at with envy. When the largest nightclub in the USA is just one of your choices, you know the other bars and clubs step up their game to try to compete. This means that no matter where you decide to spend your night, you’re guaranteed to have a great time. With so many places to chose from, you’re not going to run out of places to go. In fact, there’s so much choice that you won’t be able to spend a night everywhere during your week. There are also plenty of themed nights and event-nights. Paint parties and foam parties keep things even more interesting. If there’s one thing Panama City Beach does extremely well, it’s having places to stay. No matter what type of accommodation you’re looking for, we have it! Any size, style, type, and no matter what kind of budget you’re working with. Condos, Beach Houses, Private Villas, Suites, Hotel Rooms and just about everything in between. While there’s nothing better than staying in a place that’s directly beachfront, if you are on a tight budget you can always save some money by staying in a room without a view. It’s always going to work out cheaper to rent the largest accommodation you can fill, and split the cost with the group. If you’re lucky, you have a big group of friends who all want to save as much as possible. So you’ll book early, and book somewhere big! Splitting the cost 8 ways will always work out costing less than a smaller room and splitting it fewer ways. Don’t just take out word for it though – call and get quotes and see for yourself. This is a valuable lesson you can learn from now, that will remain true for the rest of your life. Booking early saves you money. Let that sink in. Year after year, we continue to be shocked that so many people still wait until the last minute to book. Any expenses that have to do with travel will always be cheaper the sooner you book. This goes for flights and hotels. As people book, the supply shrinks. This increases the demand (relatively speaking), so the prices go up. Bottom line: the earlier you can book your Spring Break, then the cheaper it will be. Leaving you more money for stuff you want to spend it on instead. While nobody likes that nagging friend who stays on top of everybody to commit to the trip so you can book, they will thank you for it when they can afford that new pair of sneakers.